Darnell Williams's Brooklyn-born parents welcomed him into the world in London, England, where his father, a career Air Force man, was stationed. Raised in England, New York and Okinawa, Japan, the actor/singer/dancer, one of eight children (five boys, three girls), would eventually take a bus to Hollywood to pursue his showbiz dreams. "I was just young and naive," he said of having made this bold move. But, boy, did it pay off. While building a solid theater resumé, he made his television debut in 1980 on THE WHITE SHADOW and the next year was tapped to play Jesse on AMC. The role would be his breakthrough, earning him a Daytime Emmy nomination in his very first year on the show. By the time he departed AMC in 1988, Williams was a bona fide star, his pairing with Debbi Morgan as Angie a legendary soap coupling and his acting chops rewarded by his peers with two Daytime Emmys. After his Pine Valley exit, Williams continued to work steadily. As a member of the ensemble cast of the highly regarded Robert Altman flick Short Cuts, he won a special Golden Globe Award in 1994. In 1995, Williams came back to daytime as a Jesse look-alike, Jacob Foster, which he played on LOVING and later on its spin-off, THE CITY. The move reunited him with his AMC leading lady, Morgan. After THE CITY's cancellation, from 2001-06, Williams worked behind the scenes at AMC as both an acting coach and a director. In 2007, he appeared on GL as Griggs. In December 2007, it was announced that he would be returning to AMC in January 2008 as an in-the-flesh Jesse. As a boy, his fanship of LOST IN SPACE inspired him to act. His R&B hit "Pure Satisfaction" reached No. 67 on the Billboard chart. Was a regular dancer on SOUL TRAIN from 1974-75. Twice appeared with Debbi Morgan on the cover of Soap Opera Digest. Co-directed Manhattanites, a film with a soap-heavy cast; Aiden Turner (ex-Aidan, AMC) recommended him for the gig. 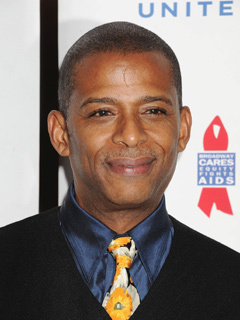 Digest has learned that AMC fave Darnell Williams (ex-Jesse) has been hired at Y&R and will join longtime acting partner Debbi Morgan (Harmony; ex-Angie, AMC) in Genoa City. Prospect Park Nabs Huge AMC Star! Great news, AMC fans! Lindsay Hartley (Cara, AMC) tweeted the news that Darnell Williams (Jesse) has inked on to remain with the show.